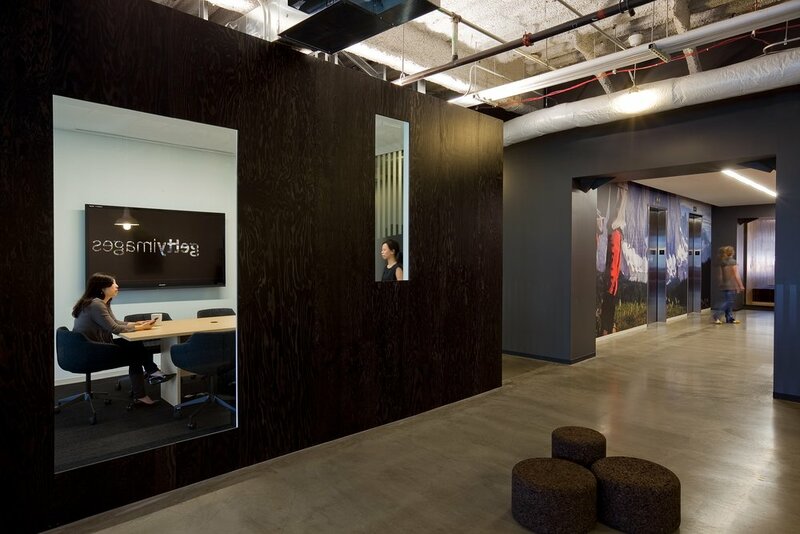 Getty invited Bluebottle to design offices for the company’s technology sector in Seattle. 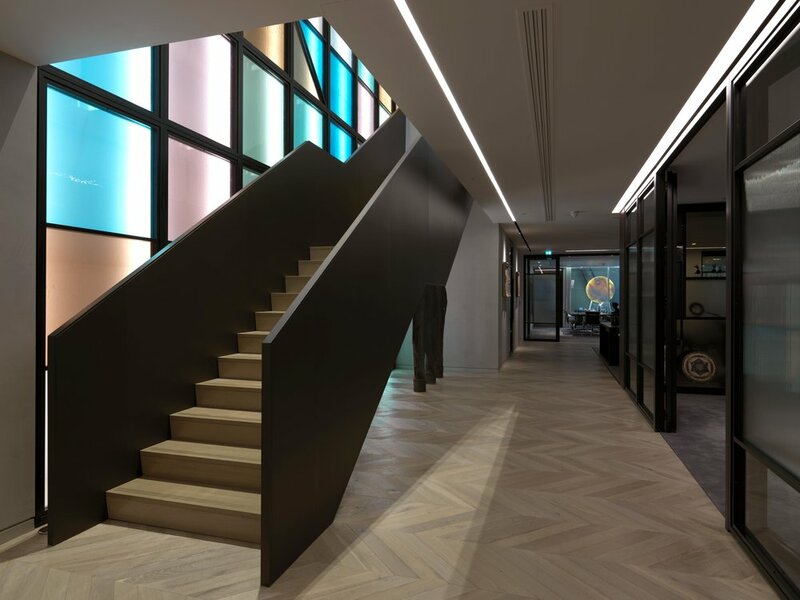 The challenges presented by this project included relocating from a much larger space, occupying 60,000 sq ft to a smaller previous site in a less desirable neighbourhood, condensing the overall footprint by approximately 20,000 sq ft. 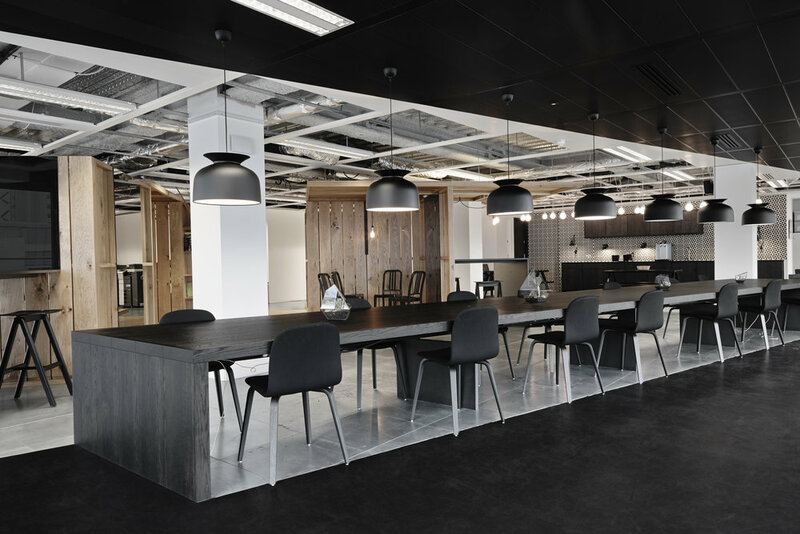 The award-winning office space is now a stripped back, darkened atmospheric space. We designed ply ribbon installation weaves through the large open plan areas, to create offices, meeting rooms and collaborative workspaces.